These packs are at home in the beds of dusty and dented pickup trucks, tied to yaks on faint footpaths, under your bed or in your garage, and everywhere in between. From loading a few racks of cams for trips to the Creek, organizing your gear library at home, or packing for the biggest trip of your life, the Transporter Series will take you there, and bring your gear back safe. 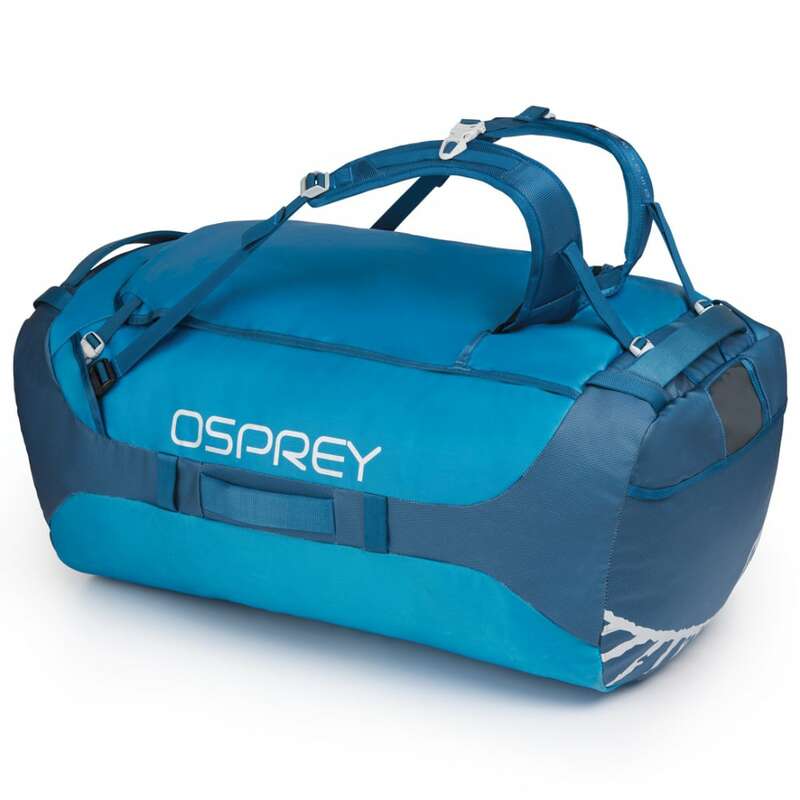 The Transporter 130 is built with ruggedly dependable, weather resistant fabrics. 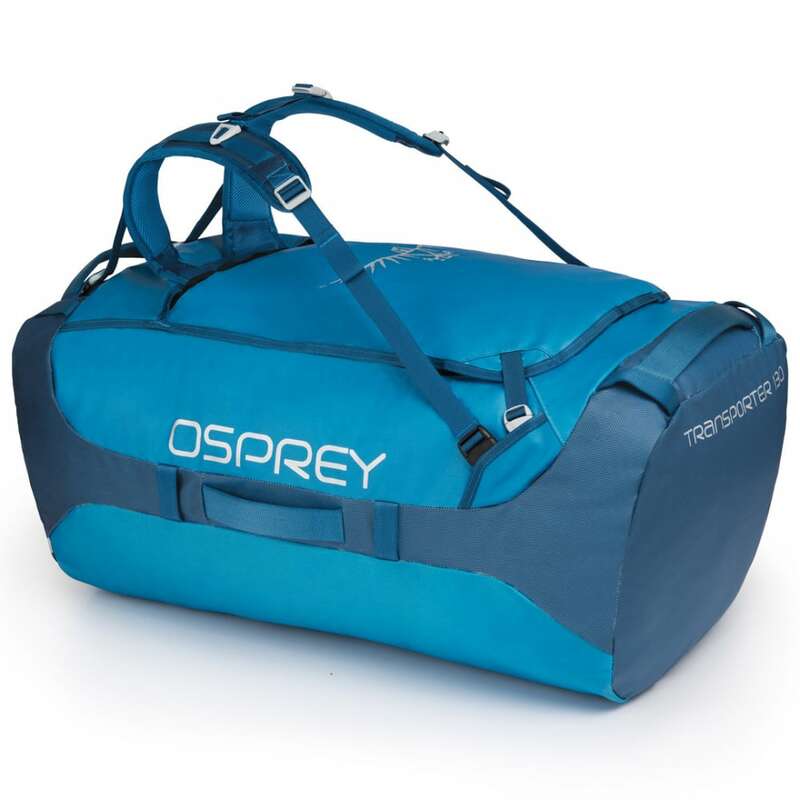 Not just a duffel, it is comfortable to carry, and perfect as a companion on the biggest trips of your life or for storing massive amounts of gear. Tough As Nails: Dual-sided TPU coating inside and out, burly hardware, stiffened main body fabric with protective accent ribs, overlapping zipper rain flaps, and design details protect your gear from external elements like snow, rain, hail, and sun while keeping your sharp points from poking through. Gear Intensive Activities: Duffels are workhorses, plain and simple. Osprey already stuffs them full of features, so why not provide a reasonable way to carry them? These duffels amplify your experience, making the way ahead, no matter the distance, clear and easy. Expedition ready, these duffels won?? ?t weight you down when it comes time to shoulder the load. Stowaway Spacermesh Harness: Full yoke and contoured harness straps. Soft, breathable contact surface for comfort. Adjustable sternum strap with safety whistle. Measures 31.9H x 18.1W x 14.6D in. Dimensions: 31.9H x 18.1W x 14.6D in.